This boat has quite a story to tell, as she was used to sail from one Germany to the other; in times which were not easy, travelwise. Full story to follow. 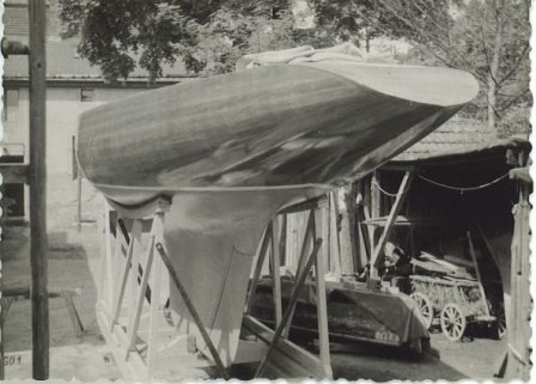 Later she was beautifully restored by the Rambeck boatyard in Starnberg.